You can deploy FortiGate-VM (BYOL) by using the Google Cloud SDK on your local PC. 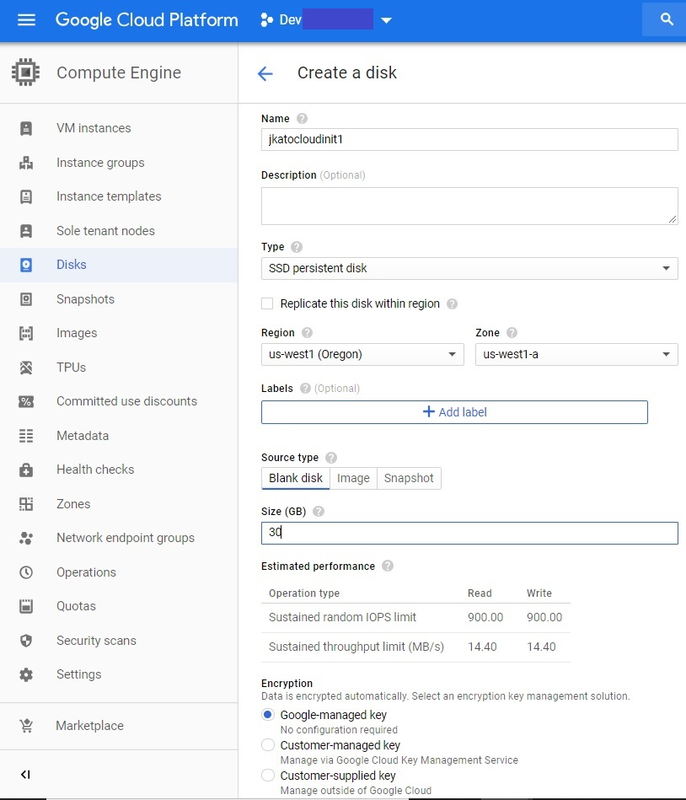 This is a method of deploying FortiGate-VM on GCP outside of the marketplace product listing and without creating an instance on the Google Cloud Compute Portal. For details, see Cloud SDK. The following example assumes that the Google Cloud SDK is installed on a Linux machine. Select your Google Cloud account and enter your credentials. Then, the default project will be specified. In Compute Engine, go to Disks and create a blank disk for the FortiGate-VM log disk. You will attach this disk to the FortiGate at the time of deployment. gcloud compute --project="project name" disks create "your disk name" --zone="your zone" --type="your disk type" --size="your disk size"
VM name: desired VM name. network name1: Name for the public-facing network. subnet name1: Subnet name for the public-facing network. network name2: Name for the internal protected network. subnet name2: Subnet name for the Internet network. no-address will not allocate an ephemeral/external IP address on the interface. project name: Project where you will deploy the VM instance. You must have access to the project. image name: The FortiGate image where you will deploy the VM from. For details on how to obtain this image, see Obtaining the Deployment Image. --can-ip-forward: Should be specified for IP Forwarding=ON. machine type: Enter the machine type, such as n1-highcpu-2. zone name: Enter the zone name, such as us-west-1a. Note that this is a zone within a region. disk name: A blank disk name for the second disk. FortiGate-VM requires an additional disk for logging. device name: Enter a device name. 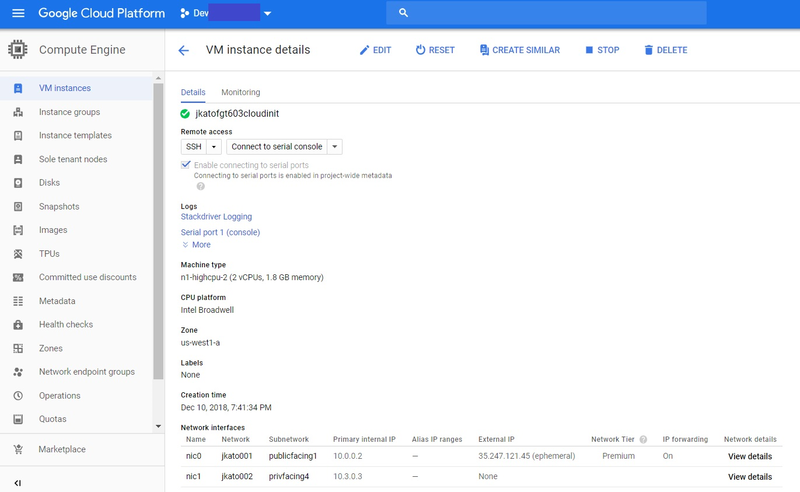 Go to the Google Cloud Compute Engine and find the new VM instance. Connect to the FortiGate-VM instance. See Connecting to the FortiGate-VM.